It’s another Unity Thursday! I love this time to sit down with my beloved red rubber and ink up something fun. Remember when I told you I was totally and completely ready for fall? Well, the current Kit of the Month really helps me get in the mood with all these beautiful leaves to choose from. I was inspired to use the colors from Unity’s new monthly Be Inspired Challenge that’s starting up today. 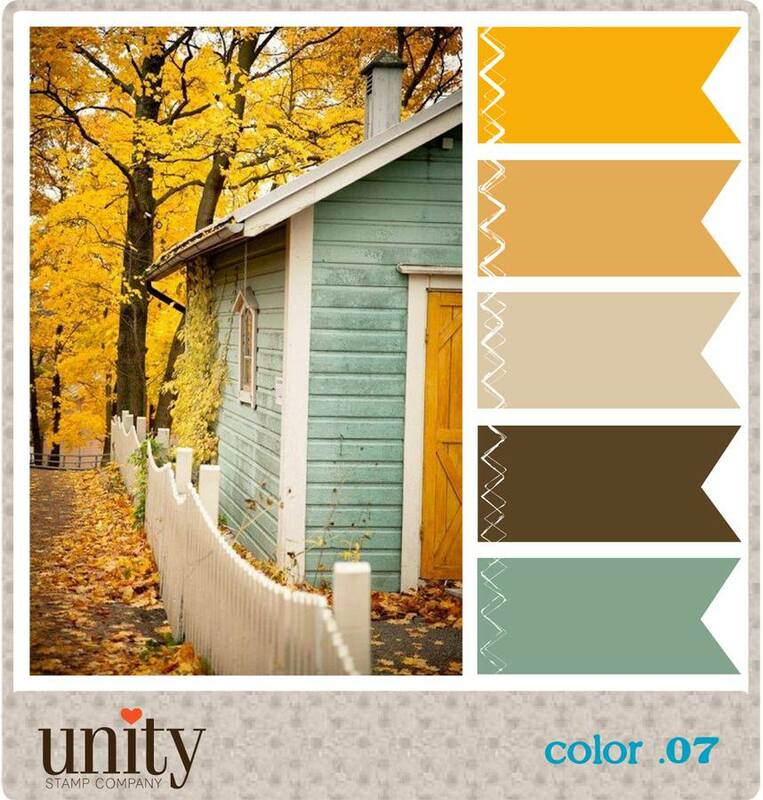 If you need a kick start to get excited for fall, check out the color palette for the challenge….oo la la! Isn’t this gorgeous? I hope you can play along with us this month, because the prizes for the winner are just fantastic. Don’t forget to check out some of the new releases this week over at Unity, too. I’ve created a little sentiment “You say witch like it’s a bad thing” that goes so well with a cute witchy hat! hee hee. Your next stop along the way is the talented Jolande. Have fun!